Food Bank For New York City, the city’s major hunger-relief organization working to end food poverty throughout the five boroughs, will honor its partners in the fight against hunger — Tom Colicchio and Lori Silverbush, Stavros Niarchos Foundation and Sandra Lee-Simply Living Publishing — at the 13th Annual Can Do Awards Dinner, presented by Bank of America, on Wednesday, April 21st, at Cipriani Wall Street. Mario Batali and Susan Cahn, long-time Food Bank supporters and the 2013 Can Do Award honorees, serve as this year’s Honorary Chairs. Nashville’s Grammy Award-winning country music group, Little Big Town will be the special musical guest, bringing some of their biggest hits to the Can Do Awards. More than 600 guests are expected to fill the room in support of Food Bank For New York City’s fight against hunger. The evening unites an extraordinary array of people including musicians, artists, actors, culinary greats and other caring New Yorkers in the fight to end hunger in New York City. “Tonight’s gala celebrates our city’s diversity and honors the dedication and perseverance of each of you in the fight against hunger, wherever you find it in our little big town,” said Margarette Purvis, President and CEO of Food Bank For New York City. "It is your support that allows us to connect people with solutions. I applaud our honorees for their courage, their commitment, and for providing a voice for many who go unheard. When others say I can’t, you always respond, I “Can Do.” Food Bank For New York City is very grateful for your service." 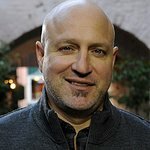 Can Do Honorees Tom Colicchio and Lori Silverbush are being honored for their commitment to giving a voice to the millions who struggle to afford food, and for shining a light on the inequalities that exist in our society, thus inspiring many to action. Together, they have been a leading force for change and true advocates for those struggling to put food on the table every day. Can Do Honoree Stavros Niarchos Foundation has supported Food Bank For New York City’s hunger-relief efforts since 2009. In 2011, The Foundation made a transformational gift to help create a technology solution that enables Food Bank to connect New Yorkers in need with emergency food and other services. The initiative tracks New Yorkers accessing food and other services through Food Bank’s network of 1,000 community partners. The project will play a key role as part of Food Bank’s strategic vision to create networks of organizations connecting clients with food and other benefits in an effort to reduce and eliminate the “meal gap” (the city’s official measure of food insecurity). This year’s Corporate Can Do Honoree is Sandra Lee-Simple Living Publishing, who has made ending hunger a cause she is deeply committed to, having known first-hand what it is like to live with the worry of not knowing where a next meal was coming from. Sandra has partnered with Food Bank on many campaigns over the years, including helping raise critical support for Food Bank’s Sandy Relief efforts. In 2013, she hosted the World’s Largest Bake Sale, which raised more than $50,000 for Food Bank’s vital programs. The Can Do Awards Presenting Sponsor is Bank of America. The evening will include a cocktail reception, dinner, and both a live auction hosted by Lydia Fenet of Christie’s Auction House, and an exciting silent auction. The Can Do Awards Dinner is instrumental in helping provide support for the 1.5 million New Yorkers who rely on Food Bank programs and services, including one in five children. New York’s most vulnerable families have lost more than 134 million meals as a result of the November 2013 cuts to SNAP (formerly known as food stamps). Food pantries and soup kitchens have confronted additional need without an adequate supply of food. Can Do celebrates what each of us ‘can do’ to help fight hunger in New York City. Since its inception, the Can Do Awards have raised more than 12 million dollars, helping to provide 60 million meals for New Yorkers in need. Every dollar donated to Food Bank For New York City helps provide five meals.